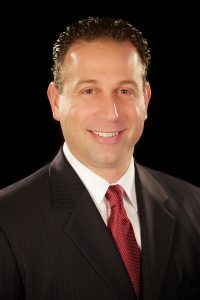 Palms Casino Resort announces the appointment of Anthony Faranca as Vice President and General Manager of the 1,200-room property recently acquired by Station Casinos. Faranca serves as the head of Palms’ executive committee and is responsible for all day-to-day operations including gaming, marketing, hotel and resort operations, food and beverage, and finance. Since joining the company in January 2017, Faranca has emerged as a hands-on leader ready to shape and execute the future strategic vision of Palms alongside the 1,800-team member workforce. Faranca most recently joins the company from Parx Casino in Bensalem, Pennsylvania, one of the top performing casinos in the state, where he served as General Manager and spent nine years with its parent company Greenwood Racing, Inc. He was originally recruited by Greenwood to manage the temporary Philadelphia Park Casino while supporting the design, construction and opening of the then emerging Parx Casino. He began his gaming career as a Customer Service Manager for both Harrah’s and Showboat Atlantic City; he would go on to become the Regional Vice President of Casino Marketing for Caesars Entertainment overseeing all four Caesars Atlantic City properties. Prior to starting his gaming career, Faranca worked as a mechanical engineer for over five years before returning to graduate school. Born and raised in Philadelphia, Faranca holds a Bachelor of Science in Mechanical Engineering from Lehigh University along with a Master of Business Administration and Master of Science in Mechanical Engineering from the Massachusetts Institute of Technology. He recently moved to Las Vegas with his wife Kristin from Cherry Hill, New Jersey.